Hopefully soon we’ll be seeing some spring weather in Ottawa, because I’ve been feeling spring in my skin and makeup choices this month. I’ve started getting more into lip products (beyond just lip balm…) to finish my look. Part of that has to do with the discovery of two fantastic lip glosses that are super comfortable to wear. The first is Urban Decay Naked Gloss in “Liar”. It’s close to my natural lip colour and feels cushy but not too sticky on. The second gloss is Tanya Burr’s. She’s one of my favourite YouTubers, and her lip range does not disappoint. I’ve been wearing “Picnic in the Park” as a pretty pink lip all month long. My skin hasn’t been cooperating this month. I’ve been breaking out lately, and I’ve been using Origins Super Spot Remover* to stop the acne before it becomes catastrophic. 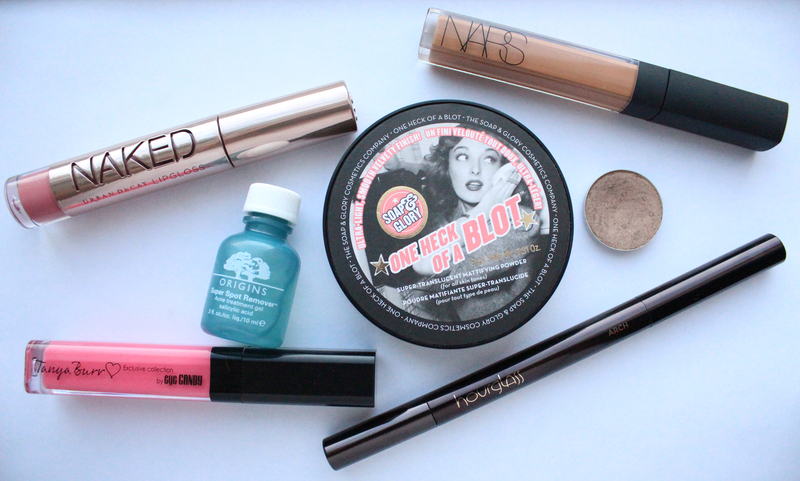 My go-to powder this month has been Soap & Glory One Heck of a Blot. It’s mattifying but not too much so. It’s the perfect t-zone or all-over powder for my skin in the wintertime. I was sick for most of February, so I’m just starting to get back into wearing makeup regularly. Whenever that happens, I don’t just go for a full-on smoky eye; I try to keep it simple. I’ve been really into one-shade looks, particularly using MAC’s “Patina”. It’s a few shades lighter than my skin, isn’t too shimmery, and looks natural but pulled-together at the same time. It takes about 30 seconds to dust this all over the lid; then I apply mascara and am g to g (good to go). I finally got my brows threaded again this past month. I hadn’t gotten them done since December…it was a situation. Anyhow, since getting them shaped, they’re much easier to fill. And to fill them, I’ve been using my Hourglass Arch Brow Pencil in “Dark Brunette”. The only way I can think to describe the edge of it is highlighter-shaped. Its little nib is the exact width of my brows up to the arch, and then I turn it sideways to fill in the tail. It even has a spoolie on the opposite end, in case you’re too lazy to reach for a separate one (like me). I’ll have an in-depth review up soon, methinks. 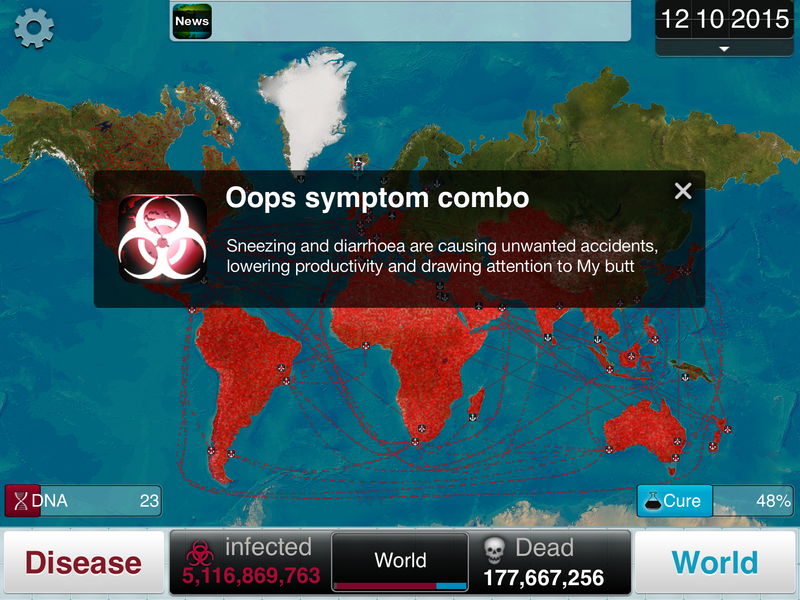 My favourite app this month has been Plague Inc. It’s a game where you’re a disease and you have to spread across the globe and then kill everyone. 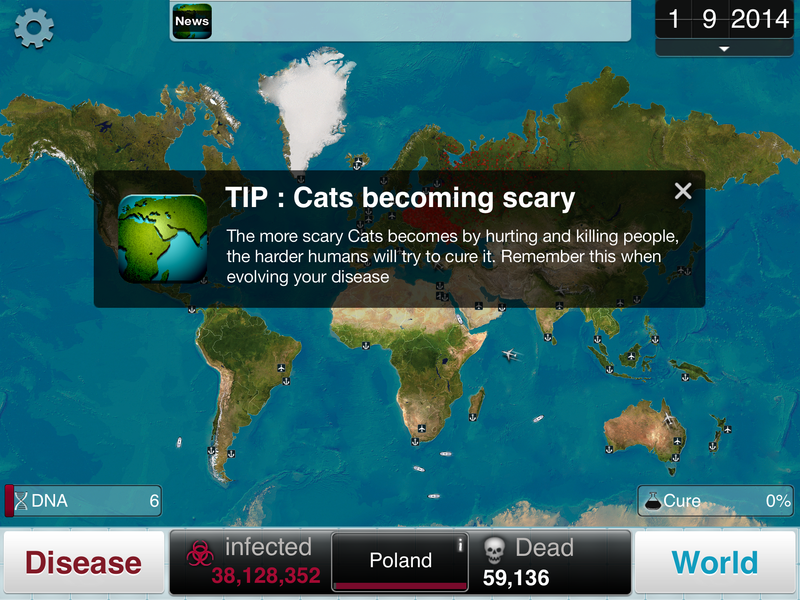 It sounds morbid, but it’s actually really fun. I’ve been playing it on my iPad nonstop. If you haven’t already, I’d highly recommend you try it! I love NARS Creamy Concealer! I hate it when that happens! I didn’t finish my comment, lol. I vary between Vanilla and Chantilly in color and they are always out in my area of both shades. I think I just need to break down and order online! I know what that’s like! My shade is sold out often because it’s super popular as well. I had to keep checking back to be able to get it, and that’s why I try to keep a backup on hand!